I enjoyed my schedule at 2nd day in CheJoo, walking around the amazing place and taking a cup of coffee in cozy cafe on the beautiful beach. Among them, what I’d like to post is the food I tried. There were excellent things, but the most memorable moment today was a taking a taste of local food. Because the food I tried was possible only in CheJoo island. My son got up today morning lately. He got up early at dawn and slept again in the morning. I didn’t wake him up until he got up by himself. Usually the important and meaningful things came up unexpectedly. When he got up, it was almost noon. We need to have a lunch, so we decide to go to eat something. The guest house where we stayed was not far from a traditional market place. We found a very humble restaurant there. I asked owner about that menu. 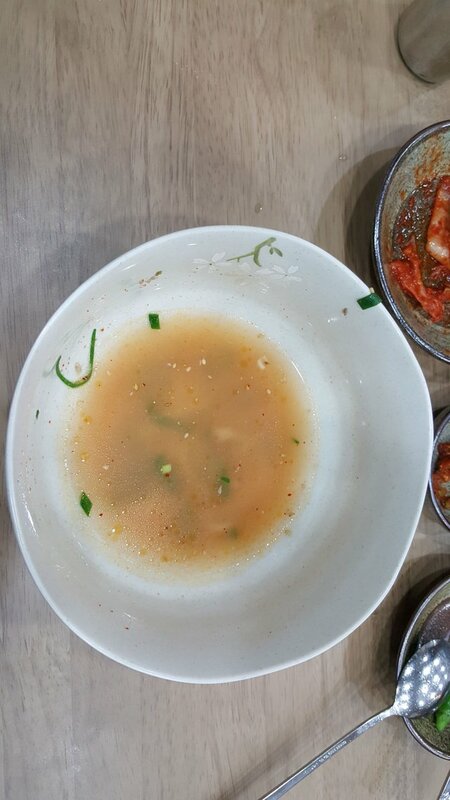 She explained that was a meat soup with sea vegetable. I didn’t want to miss the chance to take a taste local food. It looked like something weird at first. But it's taste was special. It included the taste of the sea. 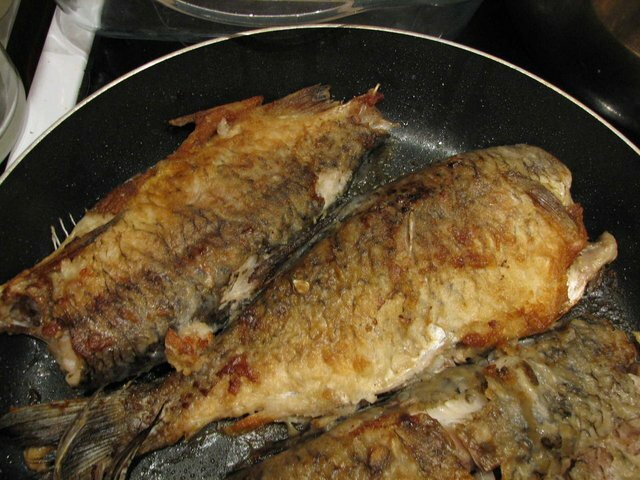 I ordered roasted fish, okdom. 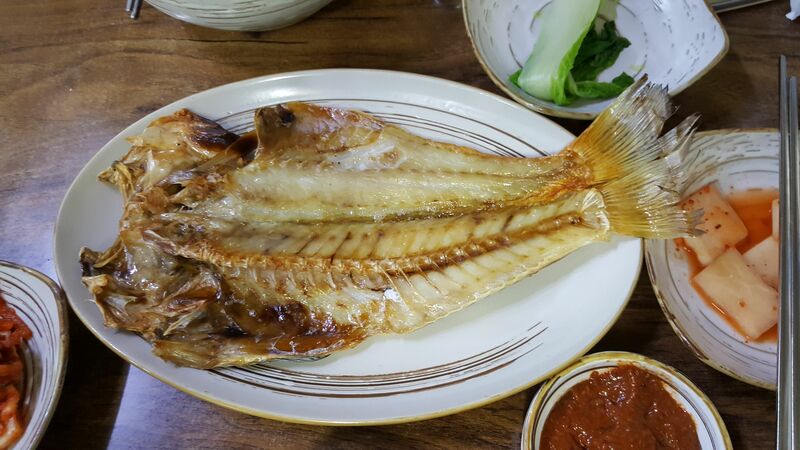 Okdom was also local fish, it was not easy to take a taste out of CheJoo island. 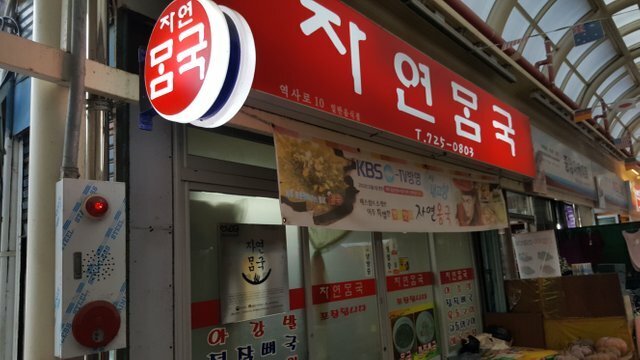 Everything in this humble restaurant including sidedish was excellent. After finishing tourism, we tried to eat local noodle. 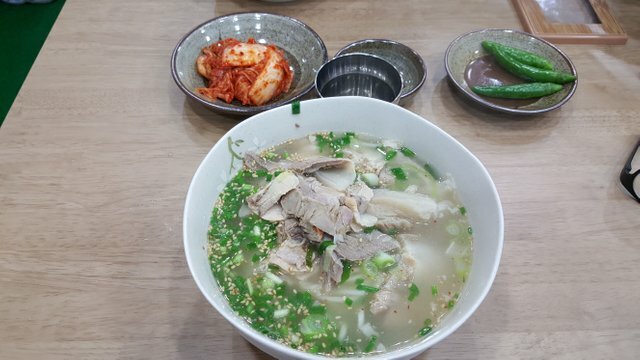 The pork soup noodle is very famous in Korea. 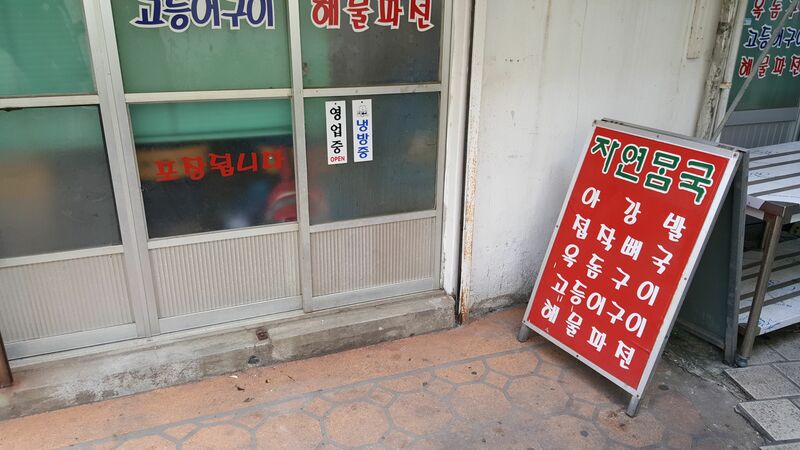 So there are many places to serve the pork soup noodle. 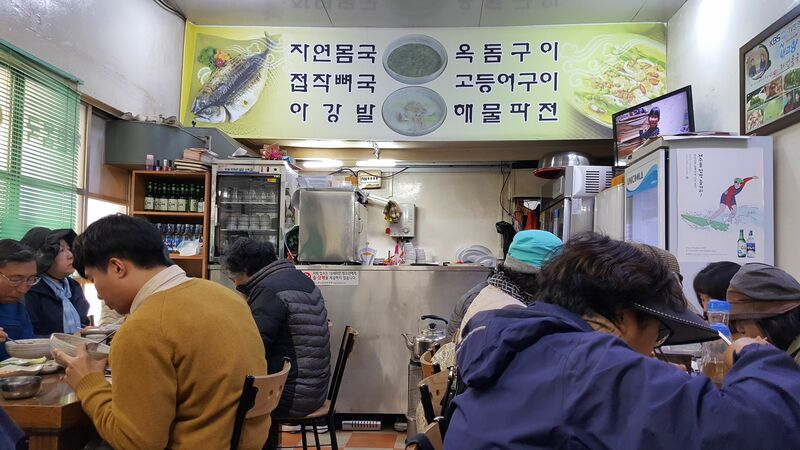 In CheJoo, taking a original taste must be the number 1 mission. The restaurant was also humble. 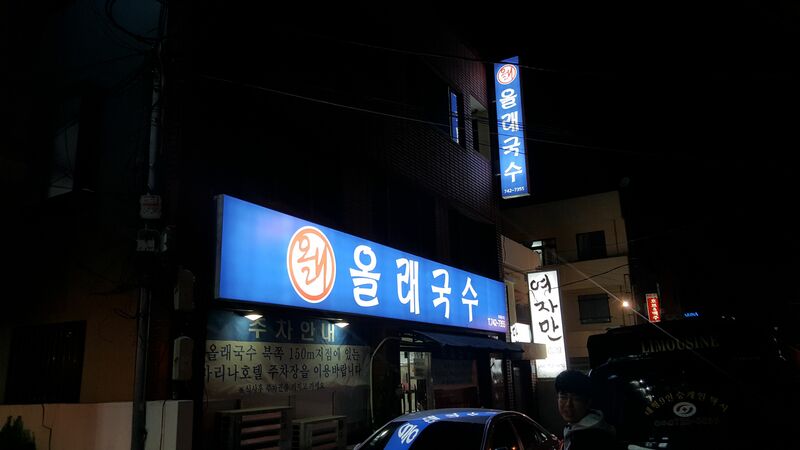 But there was a reason to be known best restaurant in CheJoo island. We waited for a minute, it was late time for dinner. It looked like not special. I don’t like to describe the taste. 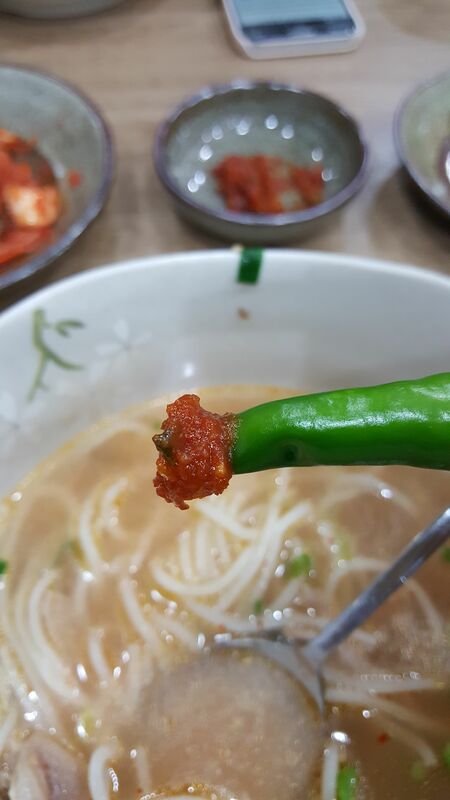 Warning, think carefully to eat red pepper. It could kill you. 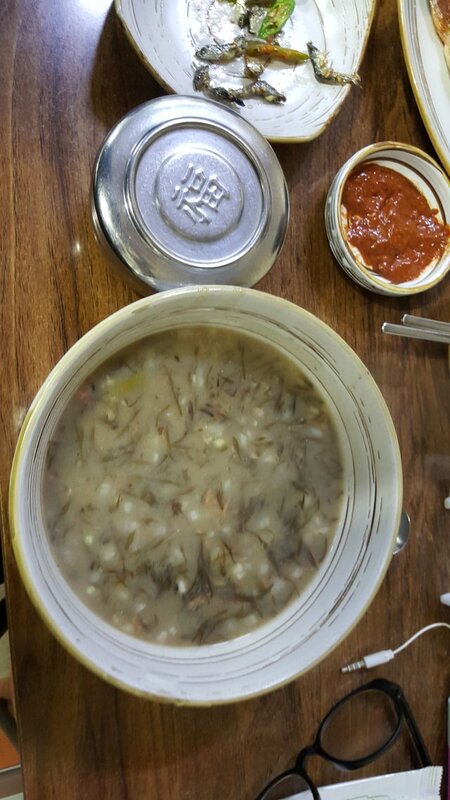 Just take a taste when you visit to Chejoo. I ate it up to the bottom. At least what we ate was successful. Posting what I saw would be next chance. that looks so yummy and delicious food you were a really good time with your son. Captivating photos! I particularly like the red pepper on the foto. Excellent work! Your first dish looks like our native buckwheat soup) And I like the view of the dish on the right among four others. Is this something like cheese? hummm! really looks palatable, so what do we call this kind of dish. Sumptuous!!! Seems am hungry now. I love this food. Kimchi, nice! That food really looks amazing! Making my mouth water just by looking at it! Every single shot looks like a perfect painting to me. It's interesting to see so many plates. Westerners like to put all food on one or two plates. I'm glad to hear you have a great time with your son. 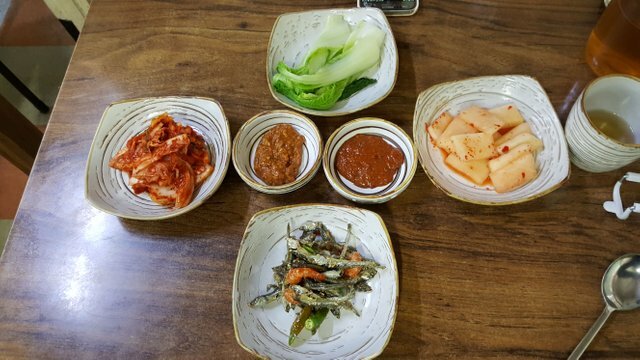 That kimchi looks good though! Btw, where is CheJoo island? Thank you for sharing this. 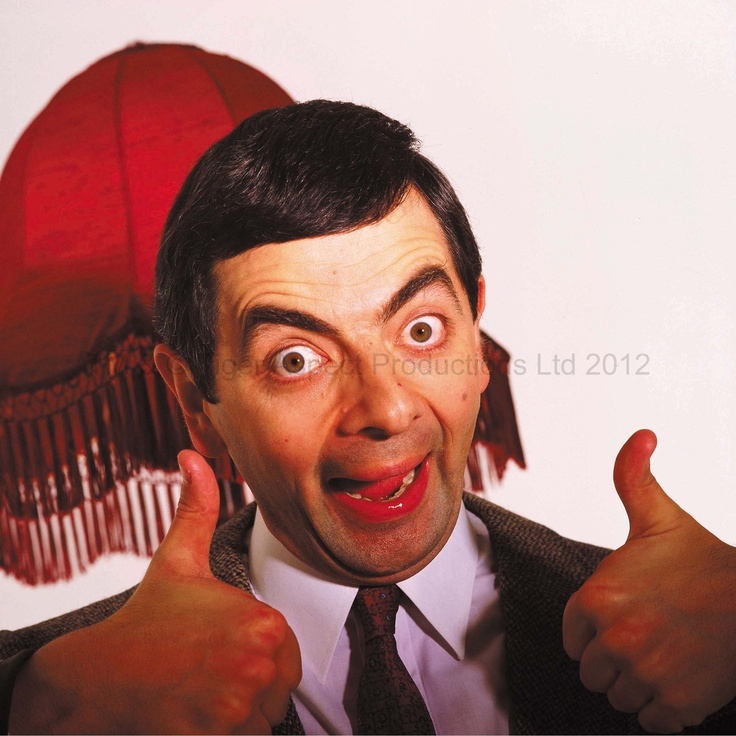 UPVOTED and Following you now. I know you are a wonderful person. I came to your post. I just want to introduce myself to you. because I am a newcomer in steemit. I do not know how to join the steemit activity. Congratulations @slowwalker, this post is the forth most rewarded post (based on pending payouts) in the last 12 hours written by a Superhero or Legend account holder (accounts hold greater than 100 Mega Vests). The total number of posts by Superhero and Legend account holders during this period was 27 and the total pending payments to posts in these categories was $1068.15. To see the full list of highest paid posts across all accounts categories, click here. I love your post. there soo interesting. especially when you try out different foods..
Yummy food my friend! Local food is always the best and we must always try local when travelling! great photos. very well written.